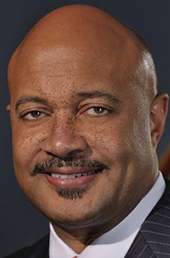 INDIANAPOLIS – The Indiana Supreme Court Disciplinary Commission filed a complaint against GOP Attorney General Curtis Hill today – alleging he committed battery against several women at a party last year and didn't show remorse. The commission found there is reasonable cause to believe Hill committed attorney misconduct. It's the latest in a public scandal involving Hill – whom top Republicans office holders said should resign. Hill's "ethical violations and offensive conduct reflect poorly on the legal profession and does incalculable harm to the public perception of the Attorney General's office and all the state agencies it represents," the complaint said. It also said his job as the state's chief legal officer – "a position of extreme public trust" – is an aggravating factor in the case. The complaint centers around Hill's touching of a female lawmaker and several staffers at a March 2018 party following the end of the legislative session. Messages seeking comment from Hill were not returned from his Statehouse office. Donald Lundberg, listed as Hill's attorney on the disciplinary filing, said the matter has been investigated three times already – once by legislative leaders, then by the state Inspector General and by a special prosecutor. "And after having reviewed all the information, all three reached the same conclusion: no further action was warranted," Lundberg said. "The Attorney General remains focused on serving the people of Indiana. This matter will be addressed through the proper process outlined for disciplinary complaints in the State of Indiana and we are confident that this matter will conclude in a manner consistent with the results of the prior investigations." Lundberg has an existing $35,000 state contract with the Attorney General's Office to provide "services on issues involving conflicts and compliance with ethical and professional obligations." The contract was approved in February, and he also previously had contracts in 2017 and 2018. "My representation on specific matters is confidential and privileged," Lundberg said. "I have not been paid with state funds to represent the Attorney General in connection with the Disciplinary Commission matter." Lundberg previously spent almost 20 years as head of the Indiana Supreme Court Disciplinary Commission - leaving in 2010. The five-member Indiana Supreme Court will make the ultimate decision on whether or not to discipline Hill. They can choose to do nothing, reprimand him publicly or privately, suspend and even disbar Hill. The complaint was approved by the nine-member commission after receiving a grievance that is not public record. The citizen members include seven lawyers and two non-lawyers.